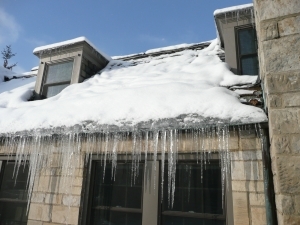 An ice dam is a major problem for many homes during the winter. Snow builds up on your roof and when the roof warms, the snow melts. 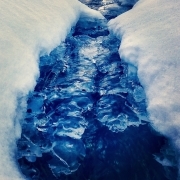 As the water flows down away from the heated areas, it freezes again. As the ice builds up, it can begin to cause all sorts of damage to your home. Here are 3 major problems that can come up. Icicles are a fact of winter, but while they may look fine, they are a safety hazard. This is especially true when they form on the edge of your house. As they get larger and heavier, they can break off and fall. The damage a two-foot-long spear of ice can do to your car – or your head – can’t be laughed off. Ice dams form large numbers of icicles in a short time, making them an immediate risk to your personal safety. With the repeated melting and freezing of snow on your room, some of the water will be backed up underneath your shingles. This will soak the sheathing and leak into the attic. From there, it can leak further into your home. This can lead to rotting and mold inside your house, which is expensive to repair. Along with the leaks, the ice dam will also cause damage to the shingles on your roof. They could rot and fall off, which hurts the value of your home and can raise your insurance rates if you don’t take care of it. Along with damage to the shingles, it also puts a lot of weight on your guttering. If allowed to sit, it could bend the guttering, or even break it off completely. How Do I Prevent an Ice Dam? Once the snow has already fallen, it can be tough to prevent ice dams. There are products you can buy to melt the ice and tools to scrape it off, but using them requires you to climb up on the roof during the winter. This, you might be able to guess, is dangerous. There are also cleaning companies who will be happy to help remove the ice and repair the damage if you’d rather not take the risk yourself. However, the best way to prevent ice dams is to take some steps before the snow falls. For starters, proper ventilation can help you keep the roof cool so the ice doesn’t melt. But ventilation alone won’t do the trick. You need to do everything you can to make sure your attic is kept as close to the same temperature as the outside. To do this, apply insulation to your attic floor. Sealing in the air leaks of your attic will not only help prevent ice dams, but will also keep your living spaces warmer. Secondly, minimize heat sources in your attic. Check for uninsulated lights, ductwork, or exhaust fans. All of these can bring hot air from your house to your attic. Finally, before the winter comes, make sure you clean out your gutters. If your gutters are clogged with fallen leaves, then the melted snow has nowhere to go. It will cling to the leaves and freeze, causing ice to build up faster. 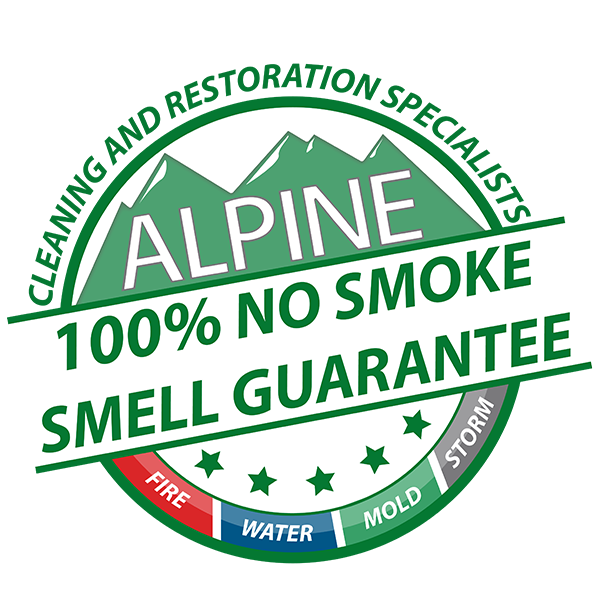 Alpine Cleaning and Restoration is always here to help if you need it. While we hope a little preparation before the coming snowfall will prevent the problem, things can always go wrong. 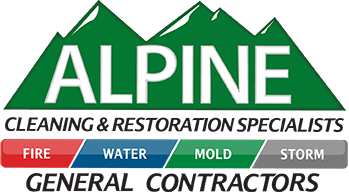 Whether ice dams end up causing damage to your guttering, roof, or just cause leaks and mold, we are able to help you repair the damage. Don’t hesitate to get in touch if you need our help.